The Montreal-born duo’s reputation grew with their midweek residency at Cherry club since 2008. After their “Lovers in Limbo” and “Inward Visions” releases at Cologne’s Kompakt Records, Anstascia D’elene and Vivie Ann Bakos alias BLOND:ISH presents their third shot “Wunderkammer” EP as the outcome of their new studio set-up in Tulum Mexico. A-Side’s “Wunderkammer” is heavy beat groover with a catchy guitar riff making it a sure shot for opening the summer parties. “Birds Eat Birds” is BLOND:ISH’s peak time track on this piece, but the real gem is actually the closing track of the EP “Stolen Romance” at which the duo celebrates a post-apocalyptic downbeat manifesto that should not be missed. 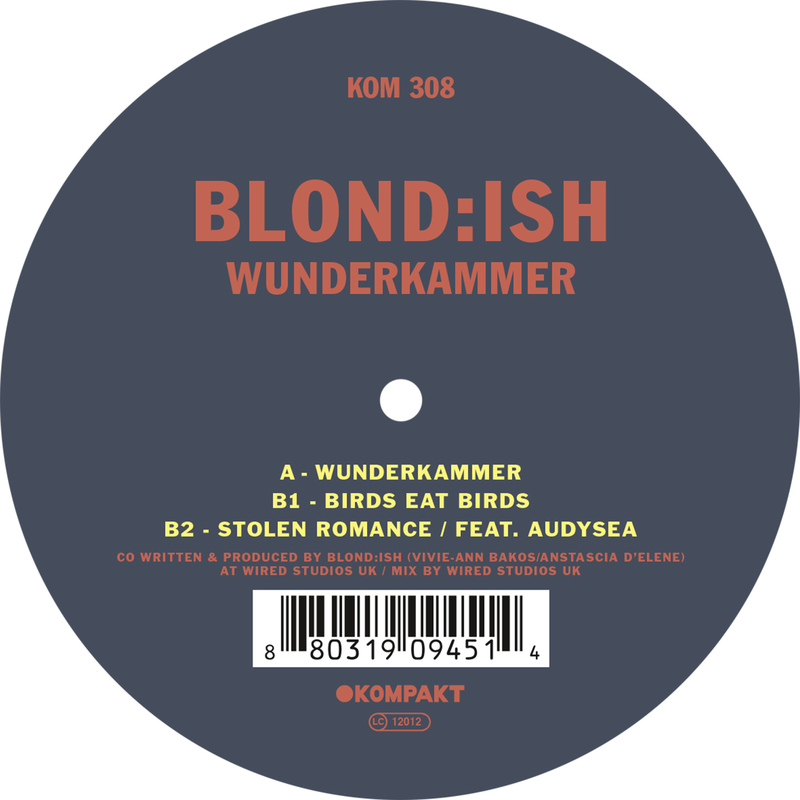 Digital version of BLOND:ISH’s “WUNDERKAMMER” EP is released on 21 July 2014 at Kompakt Records. Vinyl release on 4 August 2014.